What a beautiful tribute to your mom Karen; brought tears to my eyes. Happy Mothr's Day to you too. 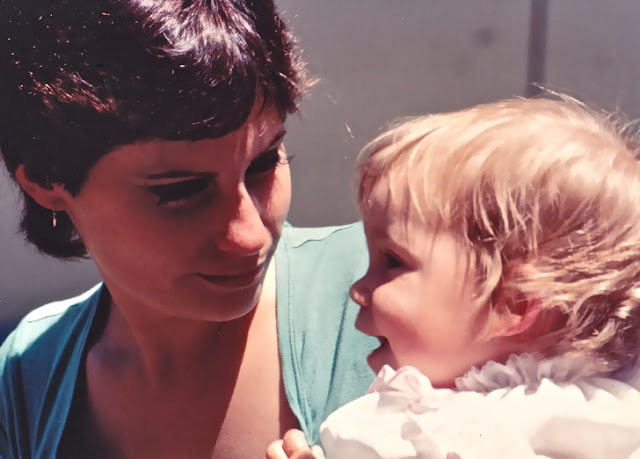 This is such a heartfelt and lovely tribute to your Mom. That being said, she is so lucky to be the recipient of those delicious truffle pops! Happy Mothers Day! Happy mothers day to your mom! Sounds like a great lady and the pops are perfect for today! I love that you added fun facts about your Mom! Happy Mother's Day to her! Fantastic post, your mum sounds incredibly special :) Thanks for sharing and for these fantastic truffle pops! These sound terrific! Happy mother's day to your mom. Now that I've stopped crying I'd like to say this is the best Mother's Day gift you've ever given me. Oh what a beautiful post!!! And the pops are also gorgeous! Gorgeous!! Great recipe and beautiful photos! A Lovely tribute to you mom. A beautiful bouquet of goodies. What a great tribute... this is a lovely bouquet of treats I cant wait to try out! How fun! And great pictures!!!!!!!!! They look perfect! And sooo yummy... i love your blog! I watch you often by now. What a heart felt post. Sounds like you have an amazing mom! I am lucky to as well, almost lost her a few years back and every day is a gift...reading your post is a reminder of how amazing she is. Thank you for sharing. In regards to the pops, amazing idea! So much better than the cake pops mixed with all the frosting. I have been on a chocolate PB kick this week and with the addition of cream cheese and nuts, you can't get a better combo. Bookmarked and buzzed! One of the best posts I've read all year. Thanks for shining the light. I'm your newest fan. Great looking pictures, wonderful sounding food, and even better stories about your mom! What a beautiful post. And everything you said about your mother is true. I only wish I had a daughter like you! How cute are these! I love how you've displayed them in a vase. I would make these for my mom, but I think I might eat them all before they got to her. I can't resist the combination of chocolate and peanut butter! First time in your wonderful delicious blog and I am touched to read such beautiful tribute to your Mom! Chocolate chip cookie pops looks awesome! This is truly one lovely post, Karen! Your mom is a special lady and really wonderful to see how close both of you are! The truffles pops add a sweetness to this lovely day! Your truffles are fantastic! Have a lovely day, ladies! Karen, thank you for sharing such a wonderful story about your mom! She sounds like a very, very special mom and I enjoyed reading about her. 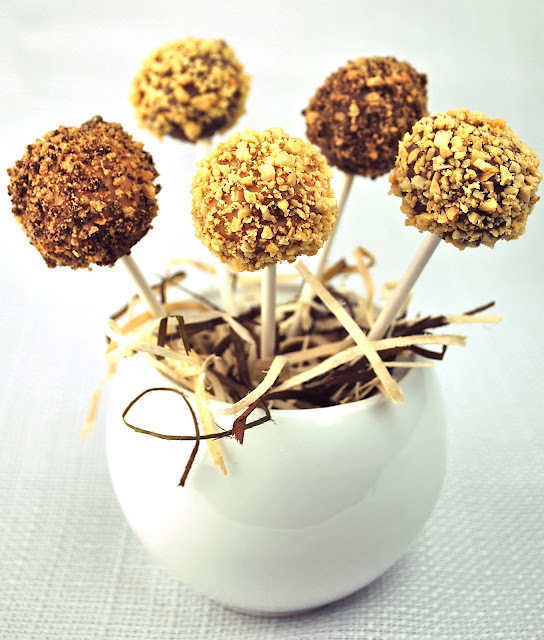 And these truffle pops look yummy! Incredible pictures too! Such a nice post about your mom! These sound delicious. These look amazing! What a great post! What a great tribute to your mom! Good job. They look professional. Your Pops are beautiful, very striking photos. How cool and loving is the relationship between you and your Mom!!! What a lovely and touching post! The pops are gorgeous and the pics are so inviting! Found your blog through Mindy's and I am so glad I did. That is a wonderful tribute to your mum..she sounds like a wonderful person.. These look amazing such wonderful photos! These truffles look so good, love the PB and chocolate combination. A great present for mom! wonderful post; these look beautiful and delicious!!! Oh my, pure indulgence...fantastic presentation. Good for you Top 9!!! Congrats on hitting the top 9 today!! I've been waiting until my new website is "done" before signing up for Foodbuzz FP. How have you found it. Any recommendations? Wonderful post and such beautiful pops. your recipe calls for 1/4 c. peanut butter cream cheese- is this a type 0 and supposed to be regular cream cheese. @Nancy - Nope, not a typo. There is actually peanut butter flavored cream cheese available.